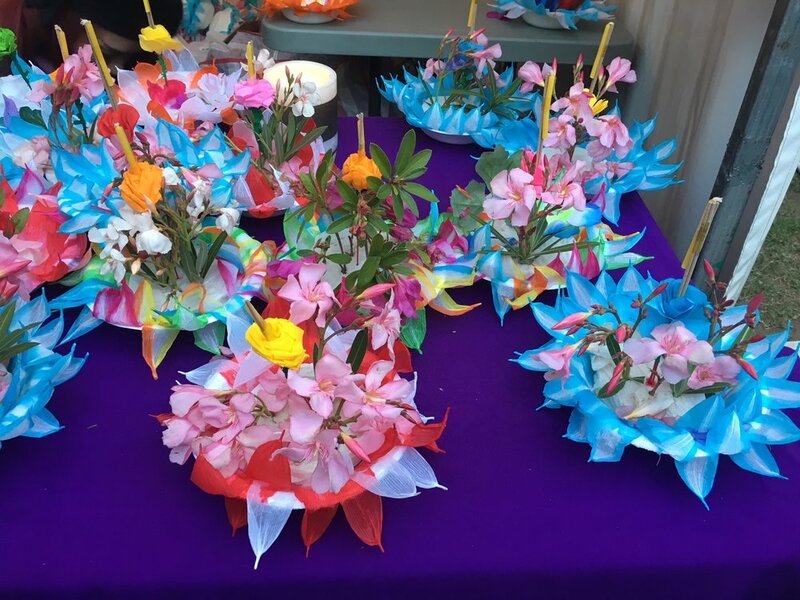 The Loy Krathong Festival was a huge success! It has attracted a lot of people from far and near, sitting by the Parramatta river bank and enjoying themselves. 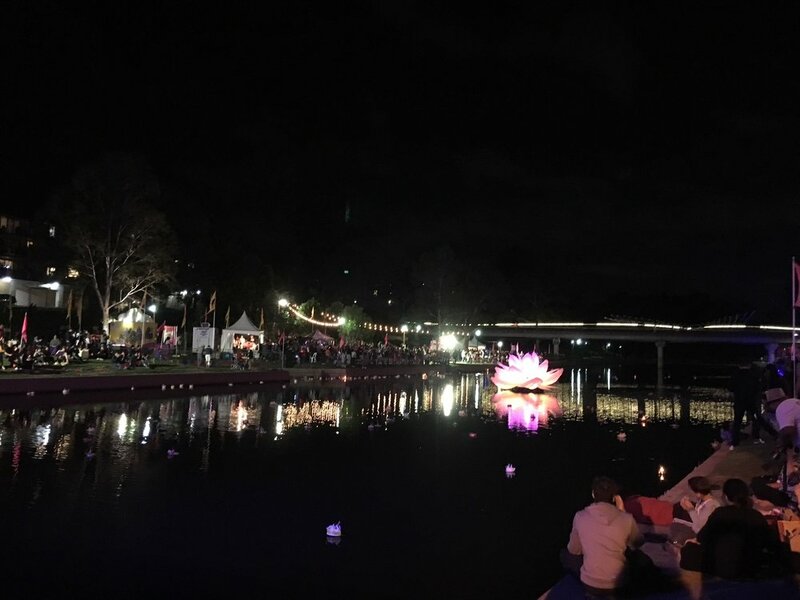 Parramatta river was lit up by a giant lotus flower lantern and lined up by the crowds on the riverbank last Saturday evening. Handmade Krathong (floating lantern) to be launched by people at the ceremony. Traditionally, a krathong is made from banana tree trunk and banana leaves, and decorated with flowers, holding some incense or a candle in the centre. Beautiful Thai traditional dance of water performed by Thai dancers holding lotus flowers. 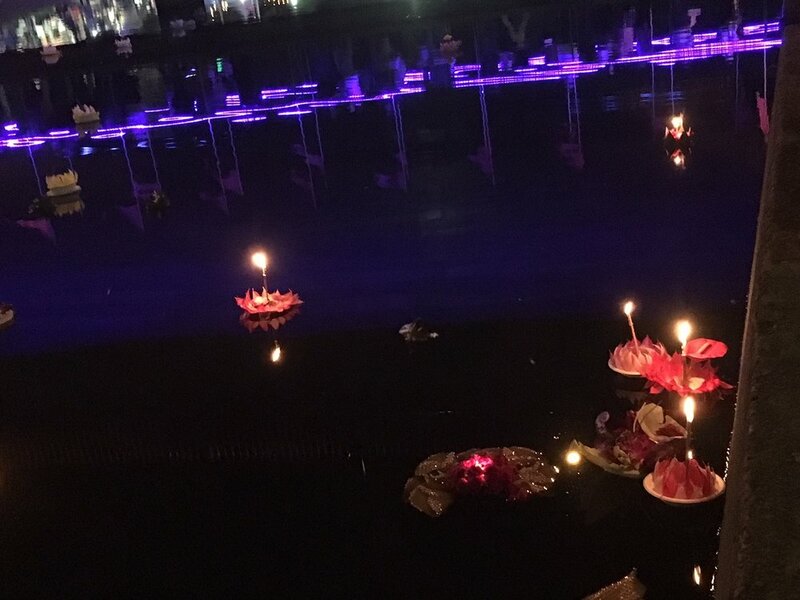 Kratong (floating lanterns) on the Parramatta river carrying people’s prayers and best wishes. 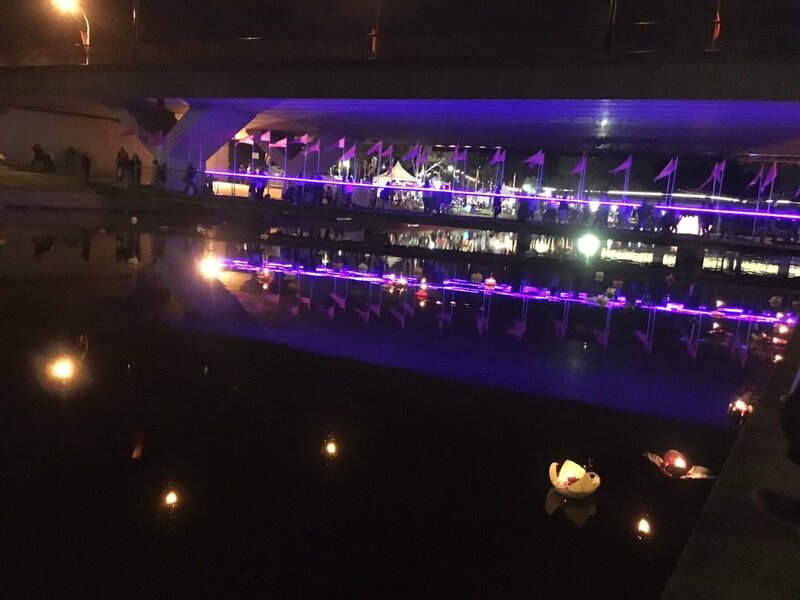 Parramatta river was dressed up by many krathong with lights. Older PostVolunteer and Make a Difference!